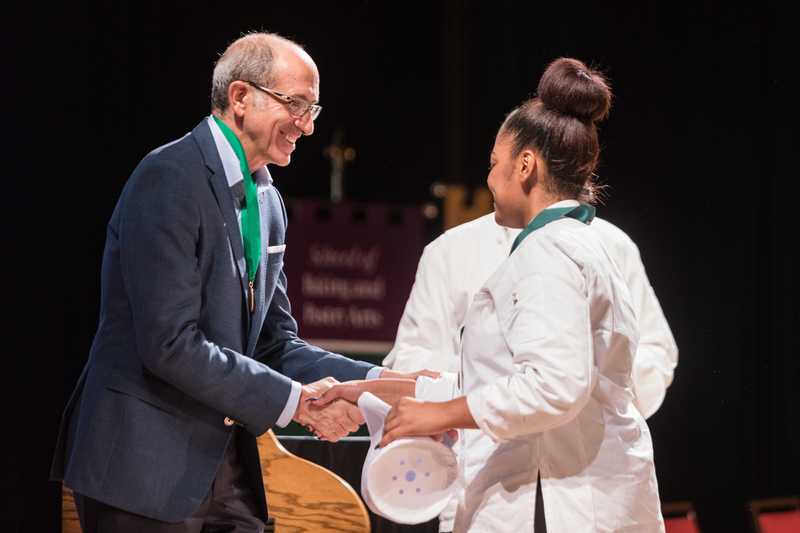 Hyde Park, NY – Marc Hoffman, executive vice president and chief operating officer for Sunstone Hotel Investors, was commencement speaker at the New York campus of The Culinary Institute of America on September 28. Mr. Hoffman, a 1977 CIA graduate, oversees all hotel operations, asset management, capital investments, and hotel positioning for the Irvine, CA-based company. Sunstone has interests in 24 hotels in 11 states and the District of Columbia, primarily in the upscale segment of the lodging industry. The entire CIA commencement ceremony, including Mr. Hoffman’s address to 56 recipients of associate degrees in Culinary Arts and Baking & Pastry Arts, can be seen online.